During the day we are usually out and about in the yard, so if you need to contact us it's best to use our mobile 07785 522 735. The landline number 01290 421 639 is also our home, so please be considerate and call after 9am and before 6pm. We ask that you treat our Plant with respect and as if it was your own! Report anything you are not happy about. Respect us as instructors yet feel free to question anything you are unsure about... we always have a reason! Tell us if there is anything we can improve upon. 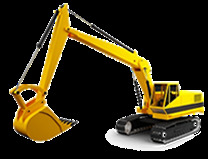 Experience the fun and exhilaration with all types of excavators, learn about their uses, and feel first hand the excitement of the digger. 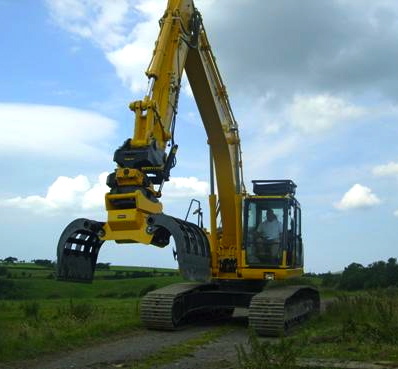 The next time you see a big yellow construction digger, you won't have to wonder what it's like to drive one. 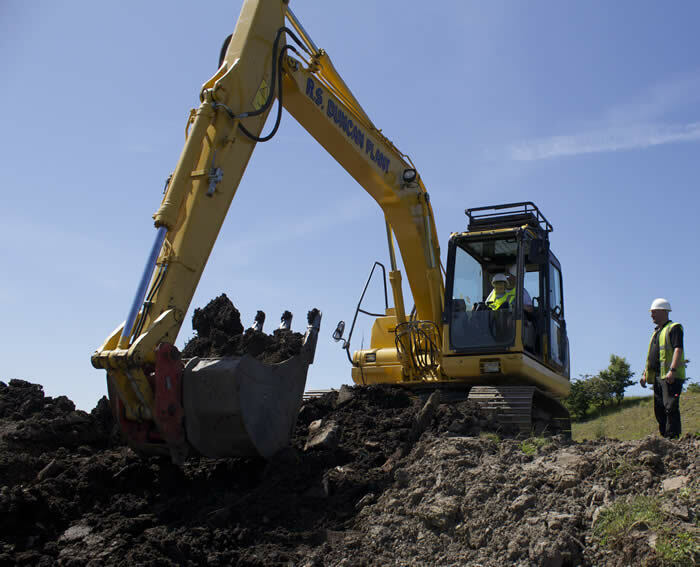 This Excavator driving experience utilizes Mini to 22 Ton Excavators, JCB 3CX180 backhoe loaders and Tractors. 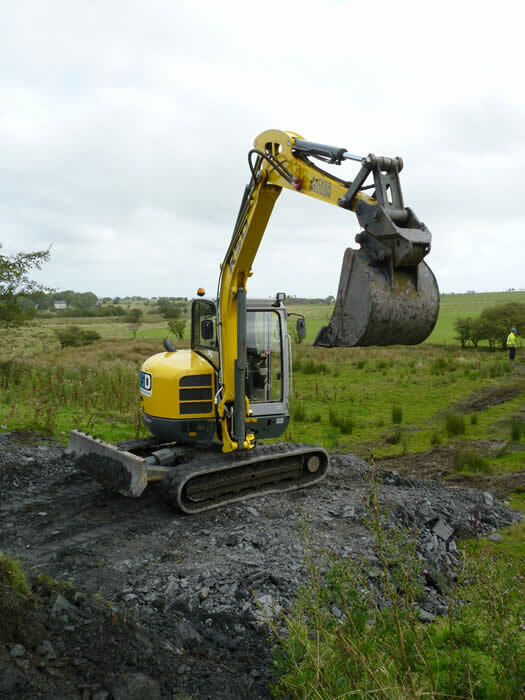 You will be able to operate diggers, dig holes and live out those childhood fantasies! Forget all about cars!! 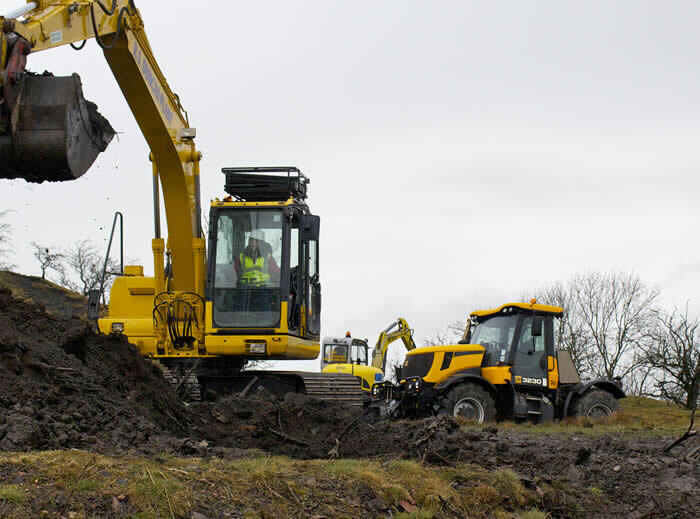 Have FUN operating Mini to 22Ton 360 Excavators, or the famous JCB 3CX first hand giving you the chance to dig and really shift some muck, putting your coordination skills to the test in challenges set. 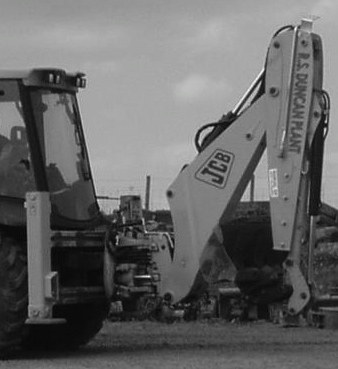 NOT enough fun then drive a Big Yellow JCB Tractor living out those childhood fantasies. All other Vehicles will feel inadequate after a 2 or 4-hour session of oversized FUN aboard one of these big beasties, You will not be disappointed! 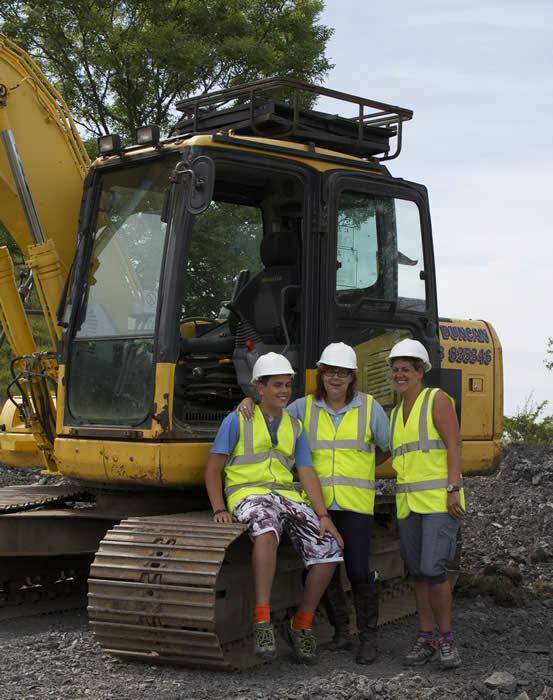 Starting with the essential safety talk, introduction to site and excavator safety bits and bobs, finally it is time to jump on your very own excavator with your own friendly instructor beside you, for your practical operating fun filled session, lift it, shift it, heave it,leave it... come back and dig it some more. Why? cos you can with DIG-a-Day, how the time flies past. 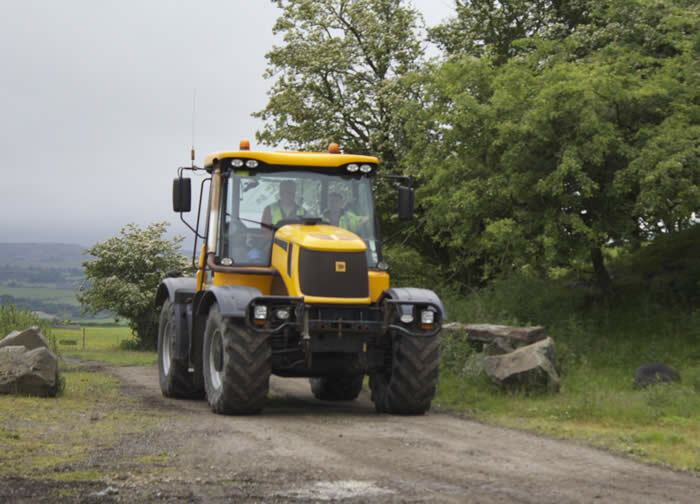 After an exhilarating time with the Excavators, try your hand at Riding our beautiful Clydesdale Horses or get up close and personal with oor Helin Coos, Alpacas Boys and Henrietta or Bubbles our cheeky Donkeys, giving you the opportunity to have a complete day of activities just to your wishes. Great for families, staff days and team building. Have great FUN and don’t forget to bring your sense of humour. On arrival you will be greeted at the centre, [refreshments available throughout your visit] we will discuss what you will be doing for your unique time with us, get registration, all health and safety and procedures out the way. 2,3 or 4 Hours Experience is inclusive of the safety briefing and induction. Our friendly instructors will combine a careful awareness of safety to keep you safe with a desire to maximize your enjoyment and have a fantastic time. For the full experience we have a minimum Height Restriction of 5ft. Below 5ft don’t fret you can still participate in the experience but you will not be able to interact with all plant types. Dress - comfortable hard wearing outdoor clothing suitable for the time of year. Waterproofs if necessary. Wear sensible sturdy boots. Enjoy the challenges set, compete the tasks set and get hands-on experience. 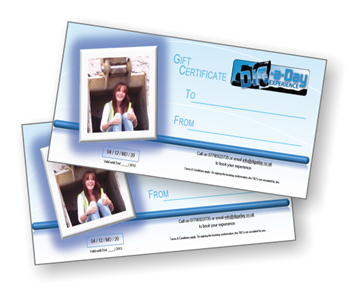 A souvenir gift pack including Certificate and Photos of the day, giving you fantastic memories.